All of Henry’s cleaning essentials in a 5-piece toolkit. Double Taper Hose / Tool Adaptor – Fits tools directly onto Henry’s hose. Soft Dusting Brush – Perfect for gently cleaning delicate surfaces, including shelves, ornaments, picture frames and intricate mouldings like door frames. 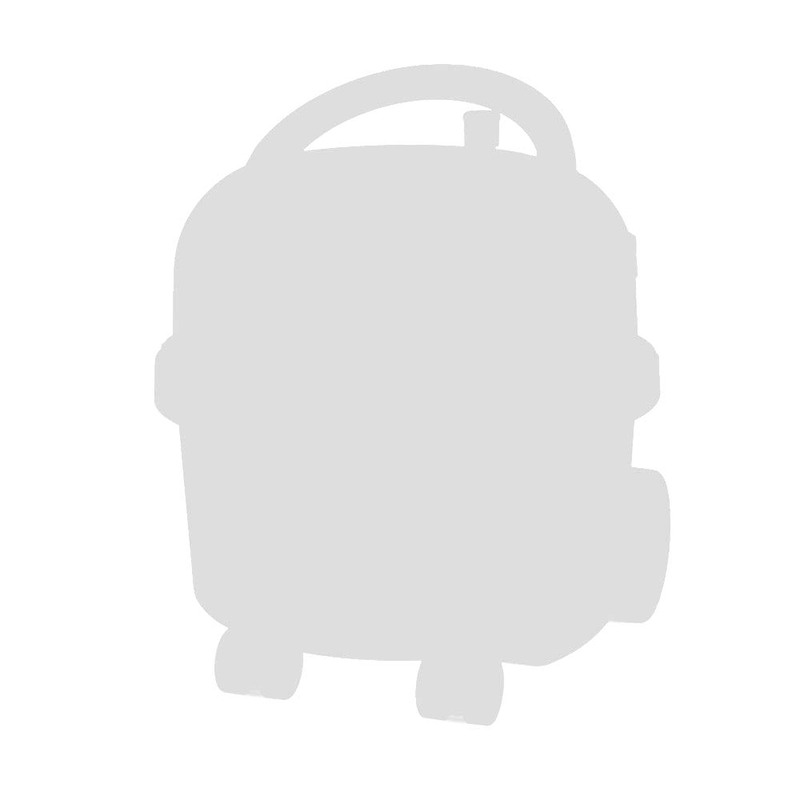 Upholstery Tool – Ideal for cleaning smaller areas, such as the stairs, upholstery and in the car. Slide on Brush for Upholstery Tool – Remove the brush for optimum results when cleaning the mattress. Fits any Henry / Hetty model. The Handy 5-Piece Kit gives you a tool for almost any job you think of… and probably some that you haven’t. Stairs, sofa, mattress, car, and more… you’re ready. 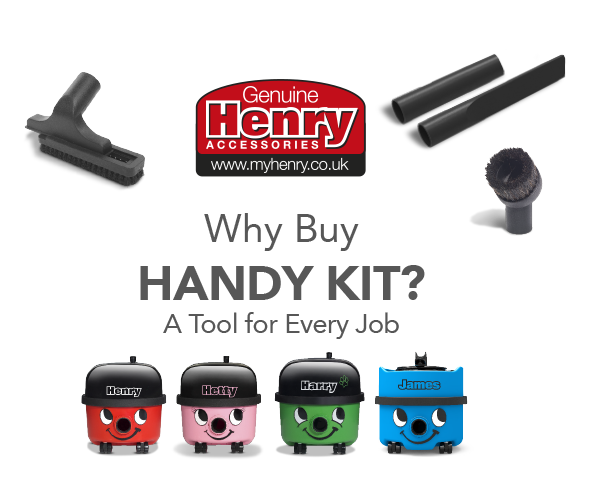 Designed especially for Henry, the tools in the Handy Kit are the perfect fit, ensuring the very best cleaning results. The tools in the Handy Kit will fit any of the Henry Family, but are for dry use only. The Crevice Tool is perfect for getting into all those nooks and crannies, including hard to reach areas under units, behind radiators and down the sides of the sofa. For delicate surfaces, like shelves, ornaments, picture frames, and intricate mouldings including door frames, the Dusting Tool couldn’t be better. 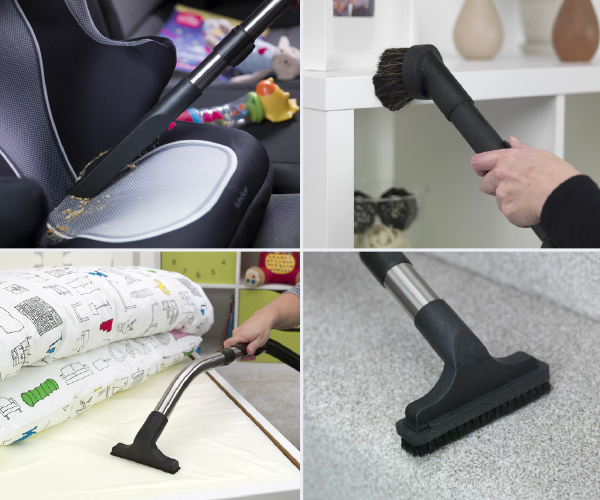 When it comes to smaller areas, such as the stairs, sofa and in the car, the Brush & Mattress Tool is top-notch. Plus, remove the brush for optimum results when cleaning the mattress.